Easy to wear for this season and going into autumn, this classic tailored light grey suit is a hardworking investment for the office. Wear with a pattern top or pencil skirt. 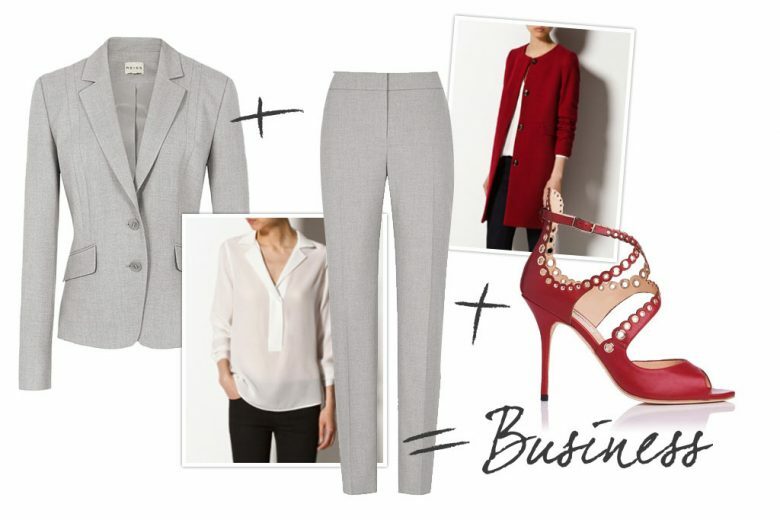 Claret is a trend colour for A/W so be ahead of the game with this Massimo Dutti coat and LK Bennett shoes.